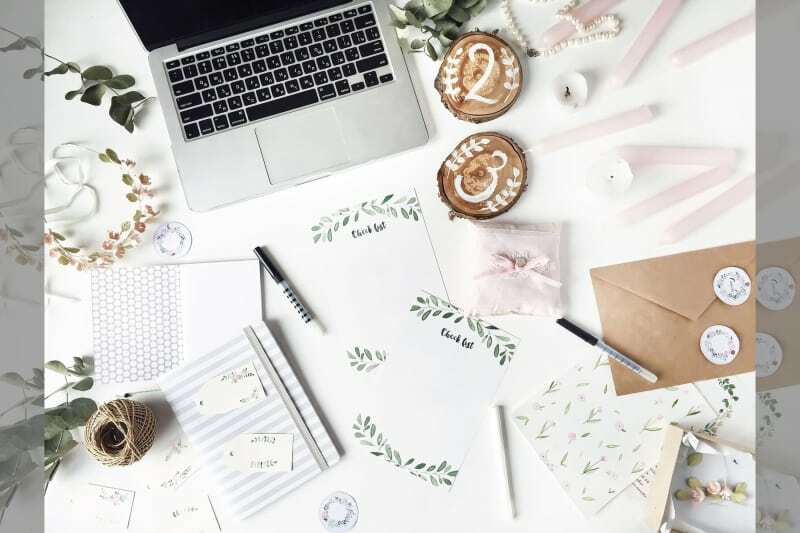 If you’re not already present on Instagram or you think you could be doing something better, these are just some of the ways in which wedding venues and suppliers can see a dramatic uplift in online engagement through relatively little effort. Ever heard of the saying “a picture paints a thousand words”? Well, this statement rings particularly true when it comes to marketing in the wedding industry, and we’re urging all UK wedding suppliers to start painting their story online to secure bookings now and into the future. Giddy couples busily building a vision of their dream wedding will scour the web for visual inspiration – saving or pinning pictures, building collages and following popular wedding accounts on social media that keep them abreast of the latest and greatest styles and trends to hit the marital market. And amongst all the ‘wedding bell’ noise out there in the online world, one visual-specific social platform reigns above all others. It is of course, Instagram. Now the seventh-ranked social media platform in the world, the video and image-sharing app that we know and love as Instagram boasts over 600 million monthly active accounts. To put this into perspective, YouTube currently stands at 1 billion active monthly users and this globally renowned video-sharing site has been on the scene for 5 years more than Instagram (that’s practically 500 years in the world of online!) and had faced significantly less competition when it started. In other words, Instagram is doing very well and is becoming increasingly popular. 59% of 18–29-year-olds use Instagram. 33% of 30–49-year-olds use Instagram. The report also confirms that the dominant gender using the photo-sharing site is still women (38% of women online use Instagram compared to 28% men). This means that Instagram constitutes the perfect target audience for the wedding industry and is, therefore, an essential marketing platform for all wedding suppliers, including wedding venues, wedding photographers, wedding makeup artists, hair stylists, cake makers and more. 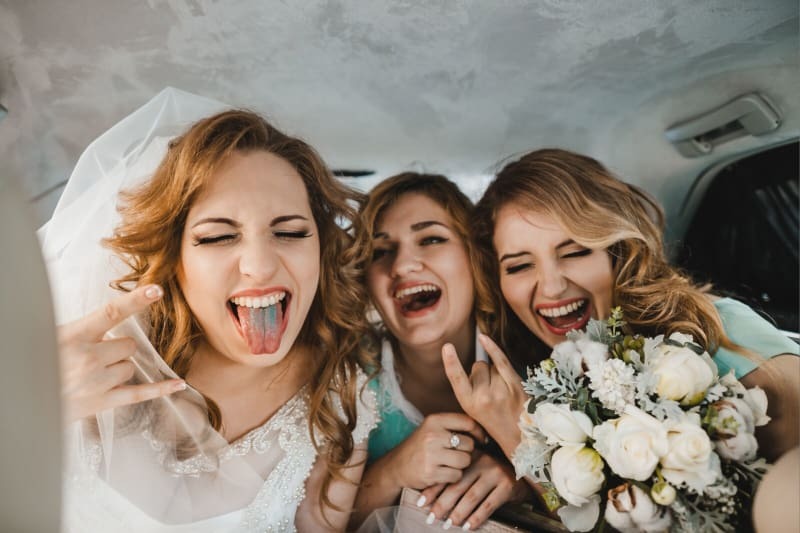 By marrying a photobook-style library of images and videos with the core target age for people getting married right now, Instagram becomes a match made in heaven for wedding suppliers looking to secure new bookings. Instagram is loved by young people and famed for topics such as celebrity, beauty, fashion, travel and weddings. Instagram is a place for fun content and it should be used to showcase approachable and welcoming wedding venues, confidently creative wedding photographers and daringly different wedding florists – it is not a place for serious or corporate messages. Content should be light, fun and engaging. Never use Instagram to post salesy messages. You’ll be Insta-ntly Insta-shamed (see what we did there). Hashtags are a great way to improve the reach of your posts and help you get featured in feeds that are relevant to your craft. Use hashtags that are relevant to your wedding business, such as #weddingdress and #weddingphotography, and include location where possible for refined targeting over volume targeting, e.g. #weddinghairessex. An easy quick-win is to incorporate daily hashtags in your posts such as #MondayMotivation and #TuesdayTips to ensure your posts are relevant by day and to get you involved in the conversations that count. What’s better for soon to be #brides than a little #weddingvenue #mondaymotivation to get them through the day? Sandhole Oak Barn is a great example of a wedding venue that knows how to use relevance (e.g. the weather) in the subject of the post and location-based wedding hashtags for optimum reach. Tip: try including a few extra hashtags in the comment section of your post rather than listing them all in the status field. This gives you the added reach you’re looking for without cluttering the core text you use to annotate your image or video. You should be using Instagram search to find the hashtags that are trending in your field rather than just making them up. Although that being said, creating innovative and unique hashtags that are specific to your brand can also help you build a highly engaged audience who are specifically interested in you and your brand. A mix of both established and new makes for a great combination. And another great way to find new hashtags relevant to your wedding business is to visit the profiles of successful competitors in your area and make a note of the hashtags they use in their posts. Think about the kinds of hashtags engaged couples are likely to search for on Instagram and make sure you use those as well. Everything interesting that happens in your wedding company is a photo-sharing opportunity. Take photographs or use video to show how your wedding venue looks before and after it has been decorated for your next wedding. 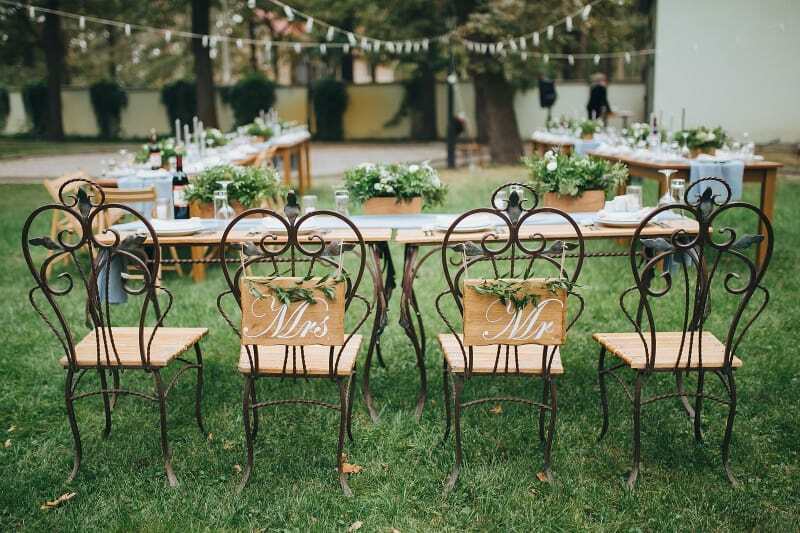 Use #TBT (Throwback Thursday) as an opportunity to showcase previous weddings you’ve catered for and pick out a few unusual or popular ideas that couples have incorporated into their wedding day. 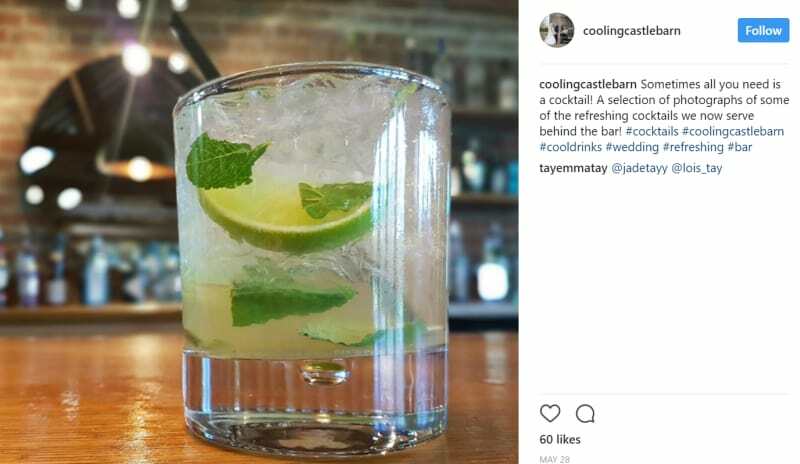 Cooling Castle Barn wanted to share their latest cocktail with Instagram followers, and why not? You must post regular content to keep your account at the top of people’s minds. 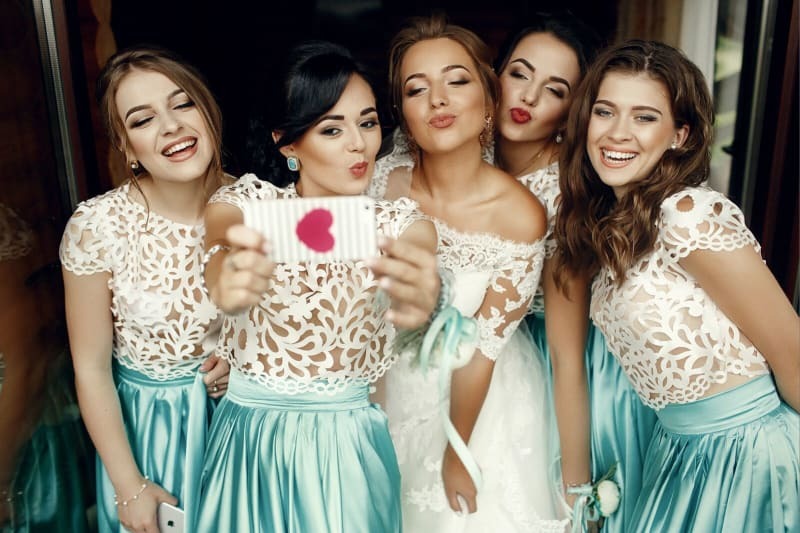 As well as being used as a marketing channel that helps you to connect with and engage potential brides and grooms building their dream wedding, Instagram should also be used to interact and network with other wedding suppliers. 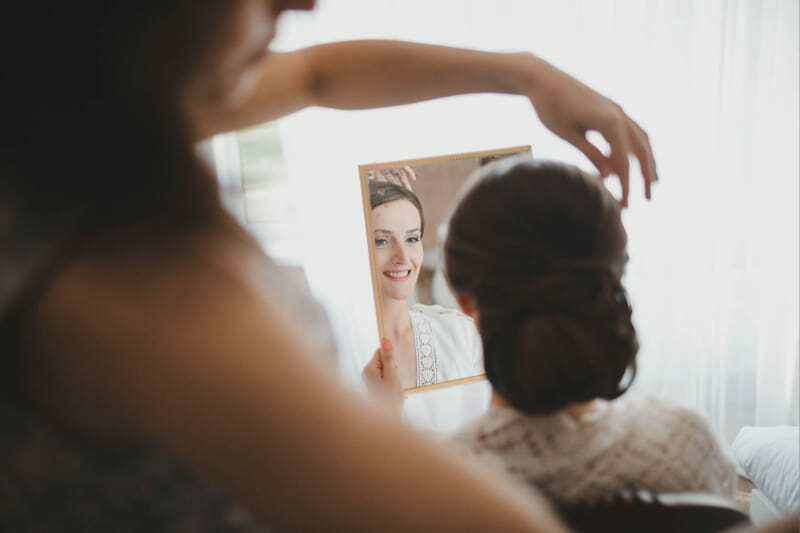 Tag wedding hair stylists or wedding cake makers in your posts to show your followers who you’ve worked with at your venue, and to project an image of your wedding services as being connected and all-encompassing. These kinds of partnerships are highly valuable and show like-minded wedding suppliers that you are actively involved in the wedding community. Here, wedding venue Newton Hall has done a great job of sharing a beautiful picture of a fellow wedding suppliers wedding cake, tagging the cake maker and using a great selection of industry and location-specific hashtags in their post. The added benefit of supporting fellow wedding suppliers? Well a good deed done will surely be reciprocated and you’ll likely find other suppliers you’ve worked with will start tagging your wedding venue or business in their own Instagram posts on their own accounts. This is how referrals and recommendations work, and the importance this kind of personal and professional affirmation plays in generating bookings should be fully realised. Spend some time searching for hashtags that you believe local, engaged couples may use in their own posts and you will, in turn, find engaged Instagram users to follow and engage with (as well as identify some of the hashtags you could be using in your own posts). 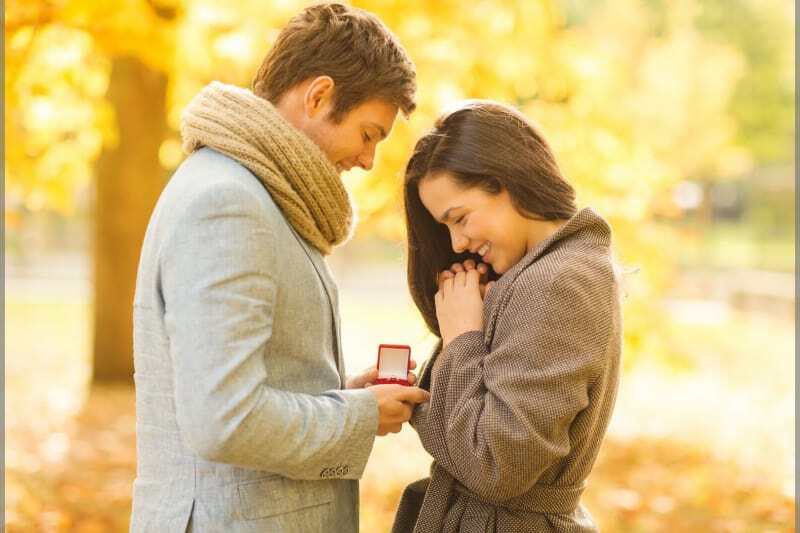 You can also track down local, engaged couples (i.e. your target market) by visiting the Instagram profiles of other local wedding suppliers. Wedding photographers will often tag couples in engagement shoots which provides you with a great opportunity to start engaging with the posts of these couples whilst they’re in the wedding planning stage. By spending just five or ten minutes per day liking posts and following newly engaged couples on Instagram, you should begin to see more couples following you and engaging with your posts. The bookings will follow. Using a platform like this is about training your mind to think like a millennial couple. Share the things that matter to your business, be present in the places your couples hang out and engage with the content that they like to read and share.